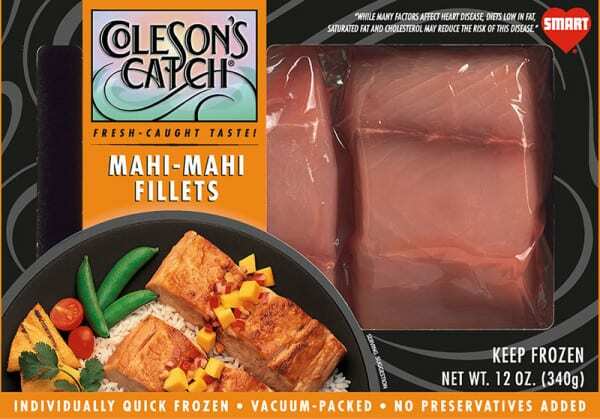 Mahimahi Fillets Carrots and Coriander Recipe - Coleson Foods, Inc.
Gently mix carrots, spices and flour, keeping it fluffy not packed down while mixing. Pat dry the Mahimahi, dust with flour and press half the carrots on each piece if evenly sized. Adjust if sizes are very different. Spread the mixture evenly across the Mahimahi to coat the whole top. Sauté in hot oil with the carrot side down and cook until golden brown, lower heat and continue to cook until you can see it is half way cooked by the side if the Mahimahi is turning white as the heat moves to the center. Turn over and finish cooking. Serve with a butter lettuce salad with an Asian dressing.